We here at Designers Society of America wish you all a happy, healthy and prosperous new year. What will be different for you in 2013? What goals have you set for yourself? The sky is the limit and a fresh start is good for all of us. We know that life can be hectic at times, but please take advantage of the many benefits of your DSA membership. Completing your free online portfolio, complete with good pictures of previous design projects, is proven to bring more business to those who use it to the full extent and keep it updated. If you don't have a website, it is especially crucial that you increase your visibility. Even if you do have a website, we've gone to great lengths to increase Google search engine's ability to place the DSA site - and access to you - on the first few pages that appear when a potential client is searching for a designer. As you may know, search engine optimization can cost thousands of dollars for a company to achieve on its own. This benefit is free for DSA members as a group of designers working together! One of our members uploaded her portfolio and several months later was contacted by a Benjamin Moore national rep who asked if they could publish her work in Ensembles magazine. This was a huge opportunity, providing not only national exposure for her company but also opening the doors to new creative money-making opportunities, broadening her horizons. Opportunity is there waiting for you! We have worked very hard to provide this for you as a member. Remember - there is strength in numbers. The more members who upload their portfolios, the more traffic that is driven to the site increasing search engine visibility. We are here to assist you in any way possible, so please feel free to contact us if you would like help uploading info to your portfolio. Email support@dsasociety.org direct phone contact (866) 721-7857 ext. 0. When a client hears that their designer is moving away, it's usually difficult news for them to accept. Unfortunately, it sometimes creates big problems for a designer, especially if the client has been long term. The client may feel panicked, abandoned or afraid they'll have to start the whole relationship over with a designer who doesn't "get them" like their former designer did. In a worst case scenario, the client might even withhold payment for completed projects, justifying it by seeing their designer's relocation as a major inconvenience for them. Barbara Eldridge, owner of BA Eldridge Interiors, LLC, has decades of experience in the design industry and operated a design business in North Carolina for a number of years. 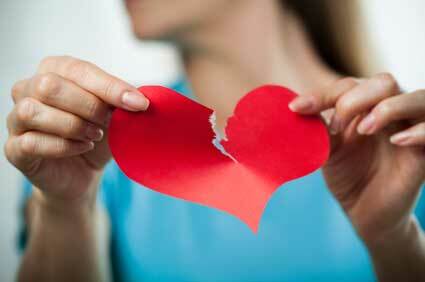 Upon hearing that her husband was being transferred, she began notifying clients, giving them several months' notice. She also told them that, even though she was moving out of state, she'd be returning to the area once a month to continue working with clients. Sounds simple, right? Not necessarily. Barbara was unprepared for the reaction she received from one particular client of 18 months. Though Barbara gave her plenty of advance notice and continued to work with her prior to the move, the client became increasingly difficult and began to voice frequent complaints and requests for discounts for this reason and that. "As time went on she became more difficult, but I always took care of it," says Barbara, who had two other clients she continued to work for after relocating with no problems. "I started noticing an increased demand for things and getting her to make decisions became more difficult. Where she'd previously accepted certain aspects of the project, she was changing her mind and even denying things we'd agreed upon." Barbara went above and beyond to maintain a good relationship with the client, even meeting a nearly impossible request for furniture to be delivered prior to a holiday gathering. "I followed through on every promise," she recalls. One of the last tasks they worked on together was draperies. The order was placed and then the client began backpedaling, coming up with all kinds of excuses and foreseeing problems that didn't exist. Finally, she chose another designer, whom she repeatedly bragged about to Barbara, all the while continuing to consult Barbara for her opinion on the new designer's choices. Eventually she just severed all ties. She is still trying to collect for the drapery job. Having worked with the client for a year and a half, Barbara never expected the betrayal she received. Looking back now, Barbara sees things she would have done differently. Once things began getting sketchy, she should have moved on before taking on the drapery project. "It can be very difficult to keep that line between client and friendship. That's not where you should go because this is a business relationship," she advises others in the industry. She also suggests that, unless a designer plans to continue operating a business in the former location, it's best just to walk away and severe those relationships with clients so that everyone can move on. "Unless it's someone you've been working with for years and you feel comfortable maintaining the relationship." Moving in and establishing themselves in a new community can be difficult, Barbara acknowledges. For herself, joining local organizations was one of the first tasks. Facing a large home renovation at her new residence, Barbara took that opportunity to meet and work with local contractors as well as sources for surfacing, appliances and other renovation needs. "It's important to choose the people you want to work with on your own project so you'll see how they are and whether they'll be good resources when you start work with clients in your new location," she said. Barbara also suggested communicating with clients - whether those you're moving away from or new clients - via telephone as often as possible rather than texting the majority of the time. "You miss that personal connection otherwise." There are all sorts of tools of the trade when it comes to working on the go, especially in terms of technology. One of the latest, however, allows us to use our cell phones for collecting payments onsite. Square, for example, offers two options for fees so customers can select which plan better suits their needs. The choices are a flat fee of $275 per month and zero charge per swipe, or no flat monthly fee and 2.75 percent of each swipe. Rates are the same regardless of the type of credit card used. 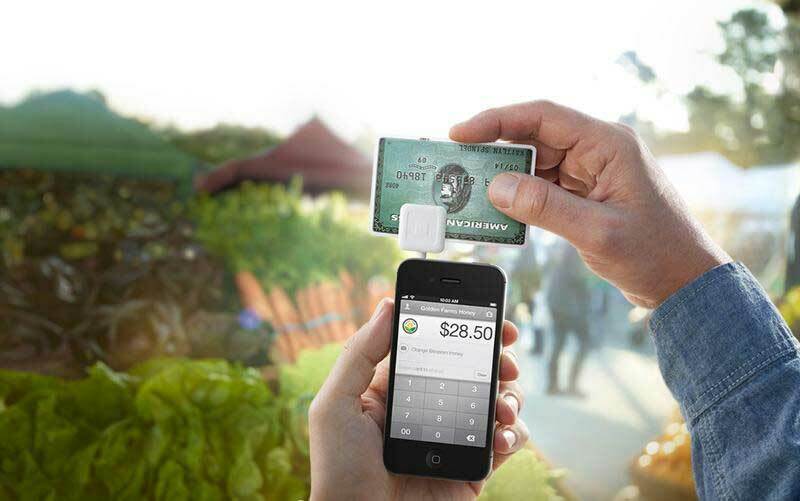 When you sign up, Square provides you with a free credit card reader. Download the free app on your iPhone, iPad, or Android device and link your bank account. Plug in the reader and you're ready to take payments. Payments taken during business hours will usually be available in your bank account the next business day, according to the Square website. You'll be sent an email confirmation when deposits are made. Similar services are available through Intuit and PayPal. Intuit offers the only payment solution built into QuickBooks. Regardless of which company you choose to work with, be fully aware of additional fees. For example, should you have to manually enter a credit card, the Square charges 3.5 percent plus 15 cents per transaction. Also, with Square's standard pricing, there is no limit to the number of swiped payments you can accept. But with subscription pricing, your monthly fee includes swiped transactions less than or equal to $400 and up to $250,000 per year at an annualized monthly limit of $21,000. If your volume exceeds $21,000 per month, you are charged Square's standard per-swipe fees for all subsequent transactions in the same month. The following site charges 2.75% per swipe with no additional fees. Please read the fine print and make your own decisions. (This is just one of the sites offering this wonderful new tool.) For an on the go profession such as ours, it is hard to ignore this exciting tool!